Over the years, the face begins to lose collagen and elastin which contribute to sagging facial features. The loss of facial volume and elasticity also lead to the formation of wrinkles, creases and folds. During the past few years, a specialized group of physicians began treating wrinkles with newly FDA-approved dermal fillers and BOTOX® Cosmetic. As these procedures were performed with particular products and with certain injection techniques, facial features exhibited a gentle lift, as well. This has spawned a somewhat revolutionary new approach in treating sagging facial features, which has begun to be called a Liquid Face Lift. The Liquid Face Lift can accomplish a number of objectives when it comes to facial contouring and lifting. For example, bags can be masked under the eyes by using Liquid Facelift techniques; eyes can be opened up and lids lifted; jowls can be lifted and diminished; natural shape can be restored to flattened cheeks or temple areas; corners of the mouth can be lifted; as well as several other facial feature benefits. A Liquid Face Lift involves the use of advanced dermal fillers, usually in combination with BOTOX®. In general, dermal fillers replace lost volume in the face or help the body regenerate its own collagen. Dr. Azar prefers to use Juvederm as his filler of choice because it appears natural within a few days and has been used with safety and efficacy for over 3 years. It is common knowledge that BOTOX® relaxes and diminishes wrinkles. However, BOTOX® is also used in conjunction with the dermal fillers to provide added lift and to help the endurance of the dermal fillers. 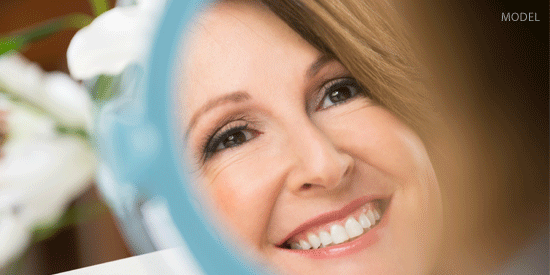 Results from Liquid Lift procedures are usually gradual and can range from subtle to astonishing. In addition, we have a rebate program through Allergan and regular specials at our Westlake Village plastic surgery practice that will help people save money and maintain their beauty. Call the office today and take advantage of a more youthful look.